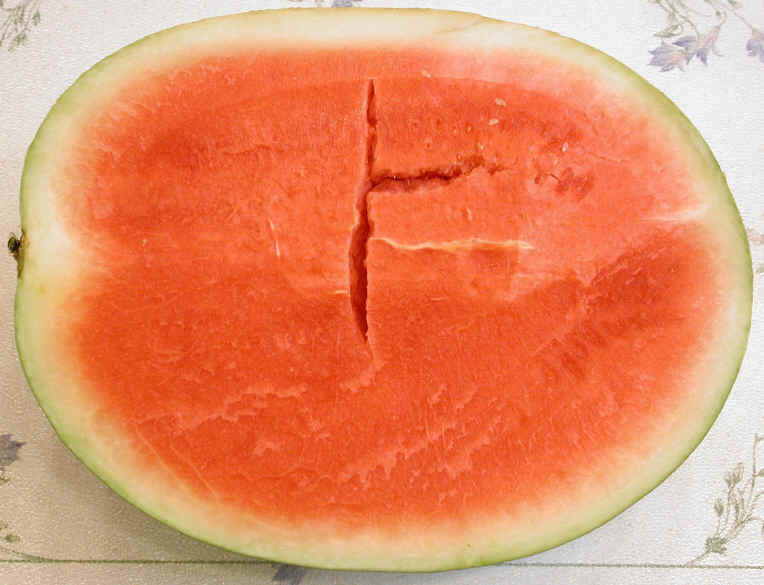 Seedless watermelon, as the name implies, has very few to no seeds. These seedless watermelons are a delicious and nutritious treat for any breakfast, desserts, or snacks. The larger ones are generally sweeter, as the sugar content increases with age. Another indication of older fruit is that they have a yellow under-belly resulting from the length of time the fruit rested on the ground. Select firm watermelons that are free of damage. Soft spots can be an indication of the beginning of inner fermentation. Keep refrigerated when cut. One of the advantages of buying seedless watermelon is that fewer pesticides are needed for growing this variety. We could not find specific nutritional information for seedless watermelons, so we have included a general watermelon nutritional chart.